Guru Purnima is the auspicious full moon day in the Hindu calendar month of Ashad. This day is remembered as a sacred day in memory of great ancient Rishi Vyasa who edited four Vedas, wrote eighteen Puranas, the Mahabharata and Srimad Bhagavata. This day is dedicated to Gurus who offer us the treasures of knowledge. The word Guru means one who removes darkness of ignorance from our lives. In present days Guru Purnima is celebrated in schools, Colleges and various other places where the Gurus are worshipped by their students. Great respect is offered to the Gurus and their blessings are taken by students. Some cultural programs are also arranged on this day. 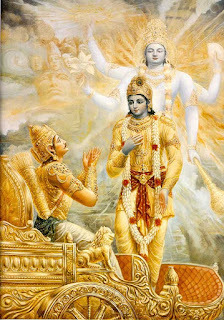 This year Guru Purnima will be celebrated on Tuesday 3rd July 2012. Guru Shishya Parampara is the oldest trend in Hindu religion. In older days at a certain age shishya’s or students were sent to Gurukul, the place where Guru (teacher) used to offer knowledge to the students. There used to be a ceremony in which the Guru used to accept these students for teaching them knowledgeable things. By acquiring this knowledge the student was turned into a successful personality in his future life. The shishya’s used to obey the orders or instructions given by the Guru. After getting knowledge from the Guru, during the send of ceremony the Shishya’s used to offer Guru Dakshina asked by the Guru. Guru Shishya Parampara still exists but is limited to learning some art like playing a musical instrument, singing or learning or even a sports activity. Our culture keeps a firm belief in the teacher-disciple tradition and believes that without the guidance of a Guru it is very difficult to acquire knowledge. Further the spiritual Gurus are offered the same status equivalent to the status of God and one has to become a Shishya of such a Guru to know the truth of the universe. The spiritual Guru is supposed to be in the vicinity of God. This Guru Shishya tradition is beyond the boundaries of religion, cast and creed. This relationship between Guru and disciple is considered to be sacred. It is independent of age and is purely spiritual in nature. It is based on Spiritual Knowledge and Practice. Guru Purnima is celebrated to review a person’s progress in the preceding year and for a Shishya it is the day to review his progress on the spiritual path. The Guru guides the student to renew his determination and keep a focus on his goal. This festival is celebrated throughout India and in many parts of Maharashtra like shirdi, Akkalkot and Ganagapur but the grand celebrations take place at Shirdi. This year Shri Saibaba Sansthan Trust in Shirdi will be celebrating Guru Purnima Utsav from 2nd of July to 4th of July. This is the best time to visit Shirdi. One can honor the Guru Shri Sai Baba and seek his special blessing. On the day of Guru Purnima, we can offer our respects towards the Gurus by chanting the ideal prayer dedicated to the Gurus. Guru Brahma Gurur Vishnu, Guru Devo Maheshwaraha, Guru Saakshat Para Brahma, Tasmai Sree Gurave Namaha. It means I salute the guru who is equivalent in all respects to God. We at Magic Holidays pay our respects to the Guru and ask for his blessings to continue providing best Holiday packages for a period of 25 years against a one time payment.